Have you put the lower side wings on the bar yet? they're meant to go on before you put the bar on (although it's not mentioned in the instructions), if you've already done it by now you'll know what I'm talking about and if you haven't make sure you have someone to help you and it helps if you break your arm in at least one extra spot and make sure the kids aren't anywhere nearby or their vocabulary will be increased remarkably. Good on ya for giving it a go yourself though. A daunting task for most. Love the look of those AFN bars mate. How'd the rest of the install go? Yeah I was torn between the AFN and an ARB Sahara bar - but everything on the ARB was extra costs, still didn't have load rated recovery points and looked very old fashioned on the DMAX because of how the base of the headlights are angled upwards. I think like most installs it kinda felt two steps back to go one step forward but we got there in the end. The Superior Engineering diff drop kit was definitely the easiest thing to go in, direct bolt in, no mods, bash plates lined up, simples. 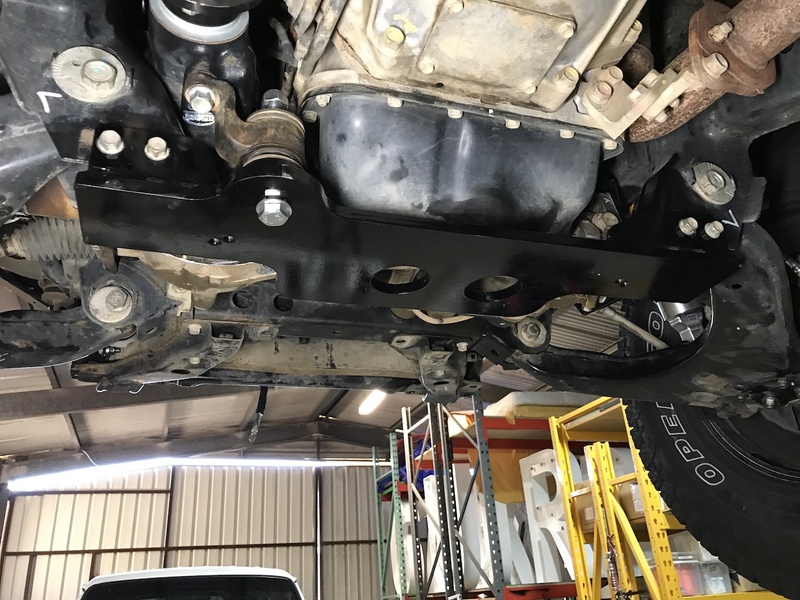 Now with 4" of suspension lift, we had to lengthen the rear brake and ABS lines, so whilst we were at it, we switched over to braided lines and also thought in for a penny in for a pound and did the fronts as well. as expected, much better the brake feel is afterwards. Another was the diff locks, didn't have to do this but we thought about longevity at this point and all the gear was out after making the handbrake bracket! 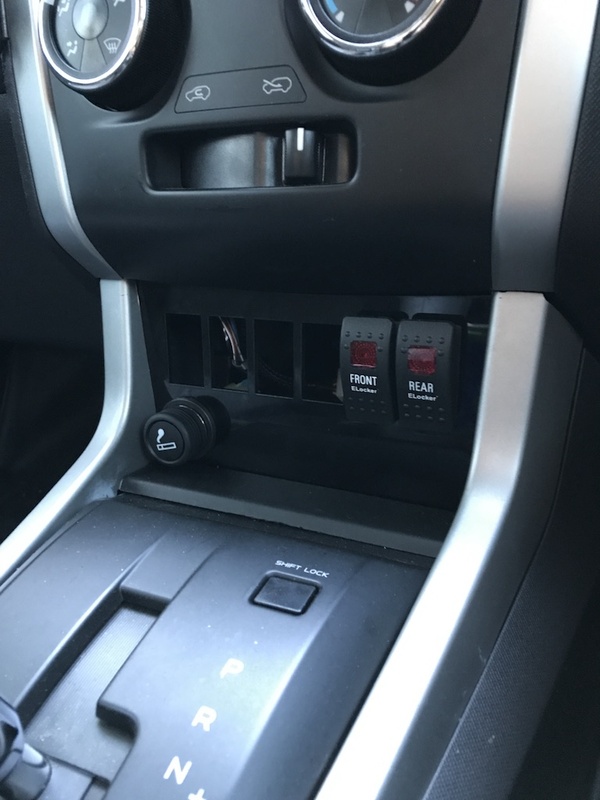 Glad I spent the $40 for this switch panel, my OCD hates things in the cabin messy, out of line or out of place plus future proofed myself for other accessory switches. 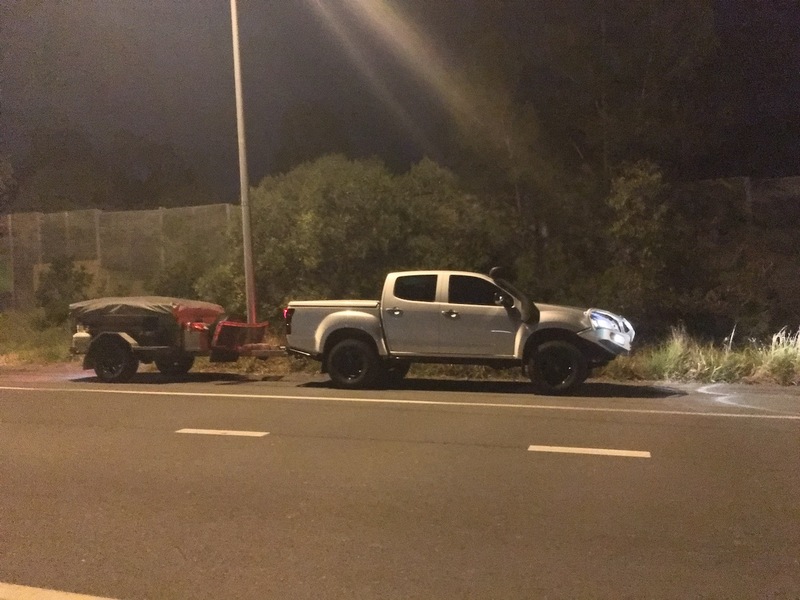 Ride height with empty ute and empty camper. 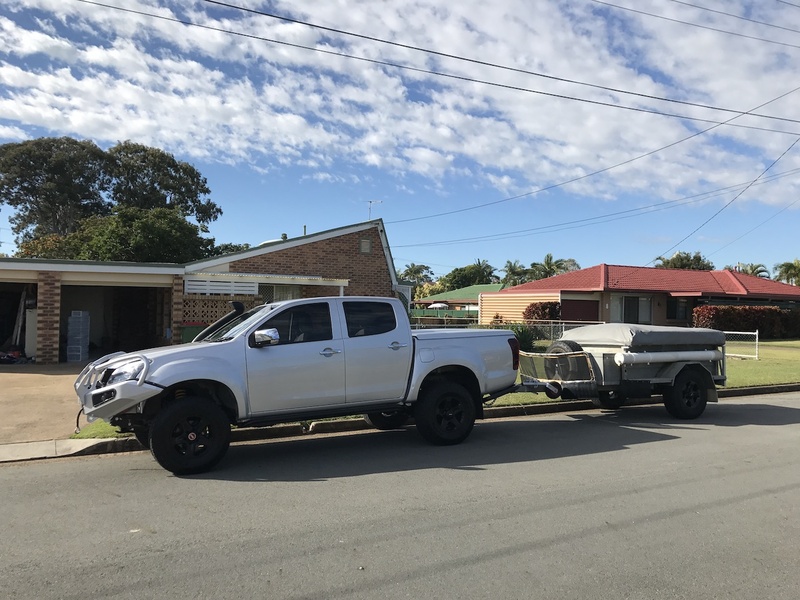 All loaded up and now on its way to Darwin thanks to the old man, less than 3 weeks until we start our honeymoon road trip! Lockers are on my list. Once canopy is done. A SAS conversion. To have that, it would make the vehicle very high off the ground, or at least the front will be. Can you get a diff housing which has the diff centre on the LHS? to miss all the Isuzu stuff when suspension is compressed. Is that a realistic comment or a throwaway comment never likely to be realized? 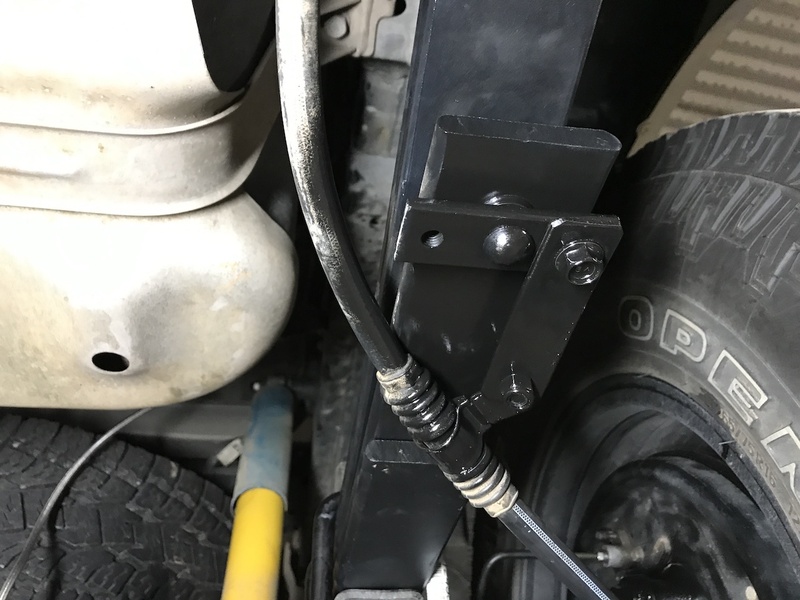 How would you connect the steering to a live axle? 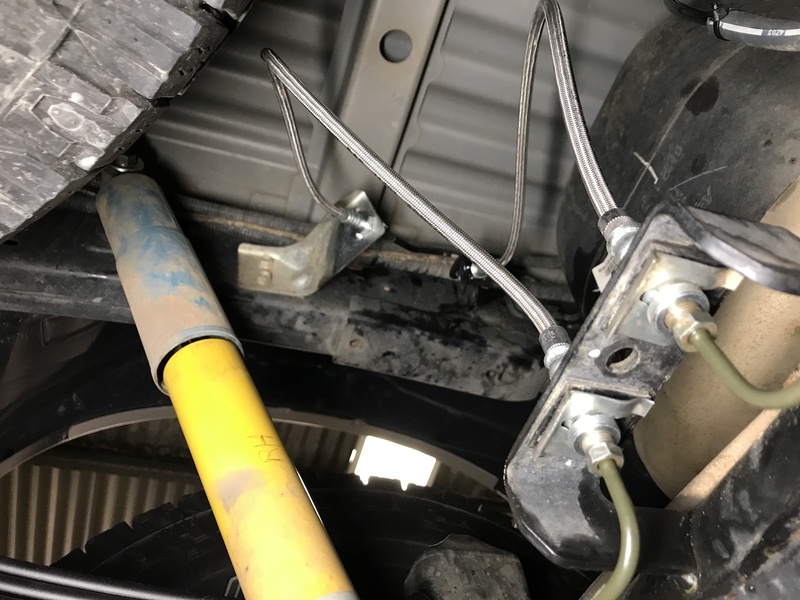 There is no room for a conventional steering box and a rack would have to be semi floating out in front on an articulated link system. Directional control would then be interesting. Unlikely a vehicle engineer would OK that sort of thing. Cheaper to buy a GU Patrol and put your engine into it. I still like my dmax, but I miss my gu patrol, it was things you didn't have to do to go bush when you first got it, but ten years on the 3.0 lt bit me on the arse, then it was the things you had to do! thats where the money went...really miss the lounge room feel inside a patrol. Dmax is great, does all the stuff and thats after the usual mods including elocker, suspension, bar, winch: "warn xd9000" I think which is on its third 4wd and dual battery setup, racks an on an on. Dont mind the idea of a Prado though, looked at the seats and my arse said yeh, getting old and soft maybe? You've done a smok'n job of those improvements, and clearly not scared to take on the big stuff, really admire that, hope your trip is a ripper. 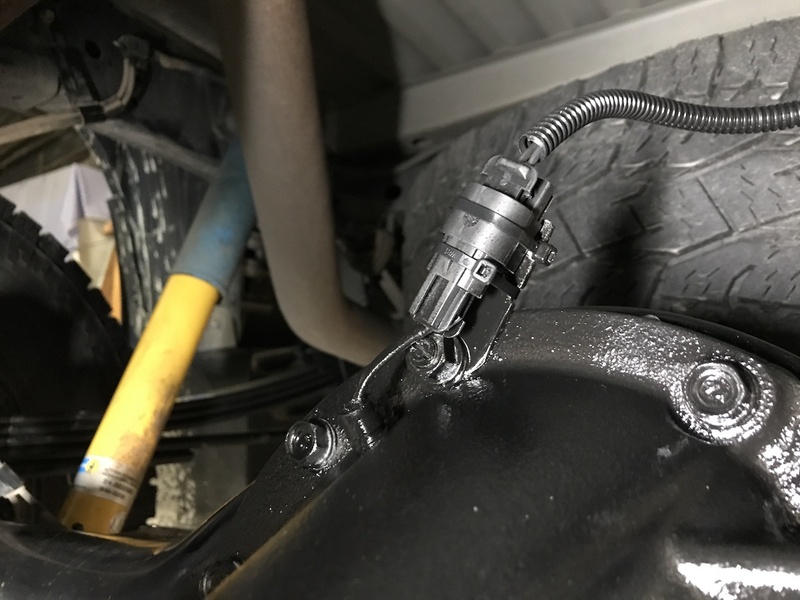 Sas uses a reverse land cruiser diff. It sit how ever high you choose to. 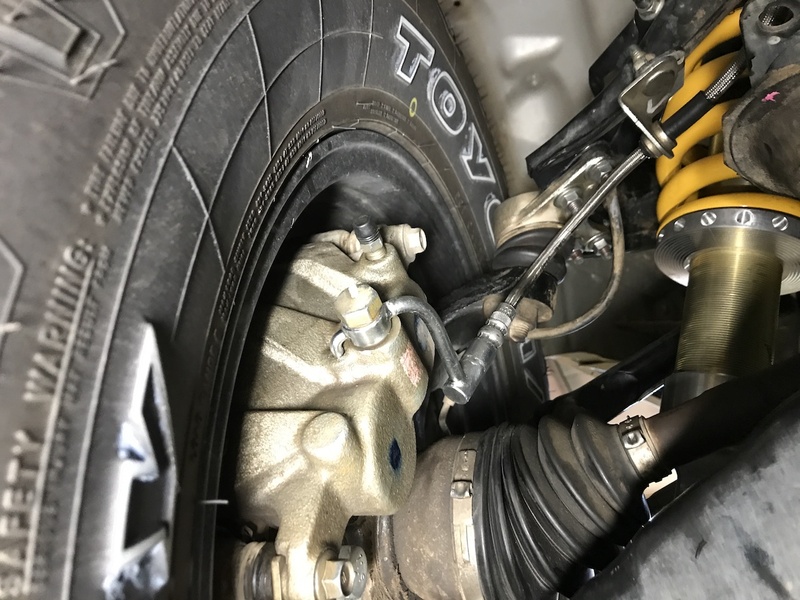 Mat was just wanting to know how much the diff drop kit lowered the front diff as there doesn't look to be much room to the rear lower control arm mount point. Have you any more pics of the drop kit ?